Preheat oven to 350°F and spray a mini muffin tin with cooking spray. In a medium bowl, mix the warm quinoa with the cheese to melt the cheese. Add the egg whites, garlic, salt, and spinach leaves. Stir to combine. 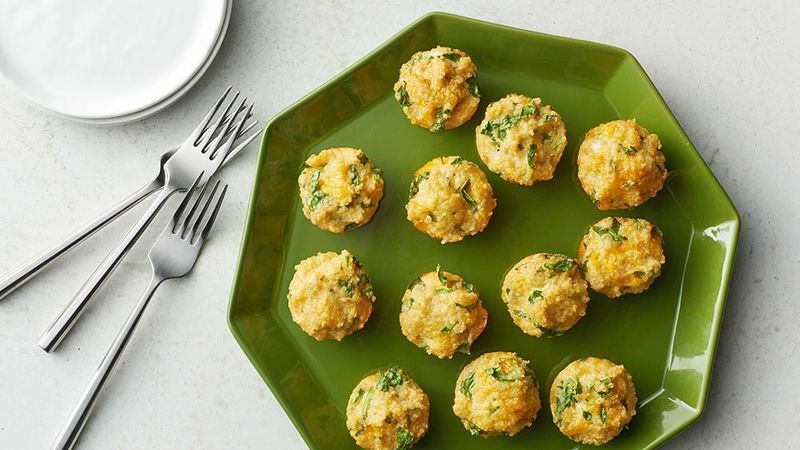 Spoon mixture into mini muffin tins, filling to the top. Bake at 350°F for 20 minutes. Remove from oven and let cool for 10 minutes. Run a small knife around the edges to loosen and pop out of the muffin tin.